Gail Myers is supporting the family directly involved in the incident as it navigates a media minefield and returns to a normal life after the shooting of an endangered gorilla at the zoo last month. The shooting of a silverback gorilla named Harambe at the Cincinnati Zoo last month after a boy fell into his cage triggered a firestorm of scrutiny. The outcry culminated in a petition that garnered a half-million signatures and asked authorities to investigate the family involved for child negligence. Hamilton County, Ohio, prosecutor Joseph Deters said Monday after an investigation that he will not press charges against the family. 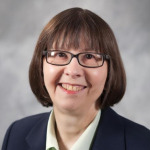 Supporting the family through these trying times is Gail Myers, the sole proprietor of the eponymous Cincinnati firm she founded in 2008 that mostly focuses on healthcare and nonprofit work. Myers previously worked at the Christ Hospital and the Health Alliance of Greater Cincinnati. Meanwhile, the Cincinnati Zoo said it is handling PR for the incident in-house. PRWeek asked Myers several questions about how she’s helping the family and the challenges she’s come across. 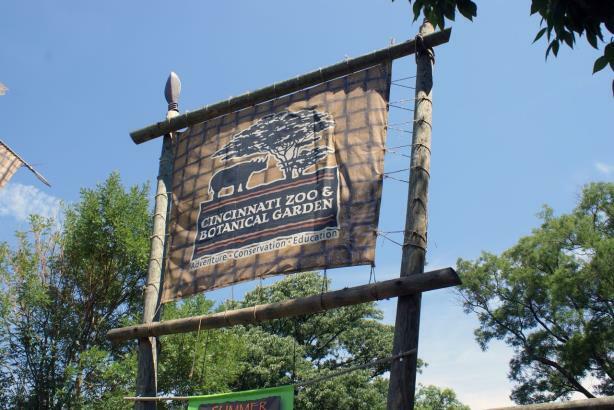 How did you come into contact with the family involved in the incident at the Cincinnati Zoo? A connection with the family knew me and my work and recommended me to them. They contacted me on Sunday (a day after the incident) and said, ‘We need help.’ So we talked about their goals, what they wanted to accomplish, how we might deal with this, and we talked through a statement to the media. They felt strongly they didn’t want to do any interviews. They just wanted to maintain their privacy. They’re very thankful the child is safe, and they also wanted to thank the zoo for their actions; they know it was a tough decision to make. They’re really thankful [the zoo] did what it did to protect the child. That’s the message they wanted to convey until we put together a statement that I sent to my media contacts, and it exploded from there. Is this something you were prepared for? This is not typical for me. I’ve done some major press coverage issues before that received national and international attention. This was certainly about the most extensive I’ve had to deal with. Why did you decide to take this job? I guess I like these people. They’re good people and they needed help, and that’s kind of where I was coming from. It’s certainly been interesting for my company to deal with all this attention and interest. My main goal is to help some good people that need help. What are you specifically handling? I’ve been their primary media contact. All requests from the media are coming through me, so they don’t have direct contact with the family. I’m fielding [media requests] and sharing them with the family, with whom I talk several times a day. We’ve issued just a couple statements so far. I’m just trying to help them navigate all these requests because there are many of them and they’re coming from local, national, and international media outlets. And of course, everyone wants to talk to them, and they want to stay private. They’re not even publicly acknowledging their names, even though they are out there. They prefer to remain anonymous. It seems unusual the family’s name was released [by authorities] without any formal charges. Why was that made public? I honestly thought it was [unusual], too. I really don’t know the back story behind how that happened. I had read in some media reports that their names were in the police reports, but they were later redacted and taken out of future reports. Some of the media are still not using the names; most are at this point. How would you describe your interaction with the media? Honestly, the reporters have been very respectful. It has not been an issue at all with the media. Most of the coverage has been fair and balanced. The reporters and producers have been very respectful in coming to me, rather than the family. You know, there are always exceptions, but the vast majority are honoring the family’s wishes. Certainly they’re doing their best to persuade the family that they’re the place to do the interview, and I’m sharing those conversations with the family. Everyone is relieved that the boy is healthy and okay, but zoo authorities had to kill the gorilla. Is that something that weighs on the family? There have been people who have offered money to the family. They don’t want money. They have suggested that all donations go to the zoo in Harambe’s name. How is the family coping with all this scrutiny? Well! They’ve been an absolute joy to work with.